If you recorded a record before February 15, 1972 in the United States, you are out of luck. Current copyright law has cut you off and you are no longer receiving royalties for your record. 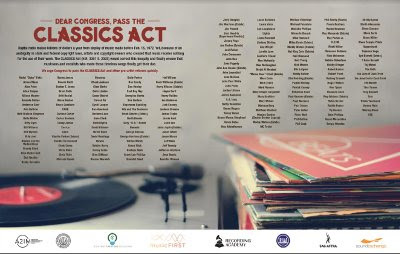 A who's-who of music have signed a new petition urging congress to fix this situation by expanding the law to cover all recordings, giving these artists royalties no matter when a record was made. 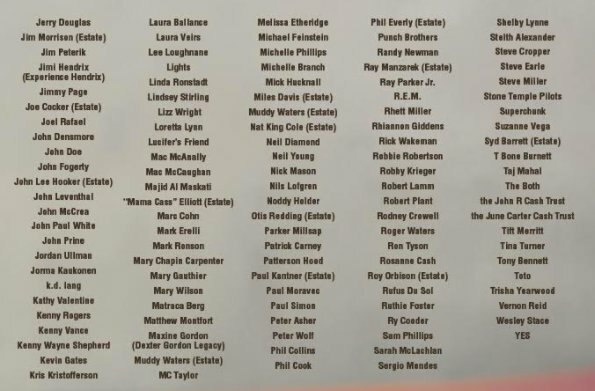 Not only are performers from Abdul "Duke" Fakir (Four Tops) to the group Yes, supporting the bill, but so are the estates of some major names such as George Harrison, Janis Joplin, Jim Morrison and Jimi Hendrix. According to those started the movement "Digital radio makes billions of dollars a year from airplay of music made before Feb. 15, 1972. Yet, because of an ambiguity in state and federal copyright laws, artists and copyright owners who created that music receive nothing for the use of their work. The CLASSICS Act (H.R. 3301 / S. 2393) would correct this inequity and finally ensure that musicians and vocalists who made those timeless songs finally get their due. 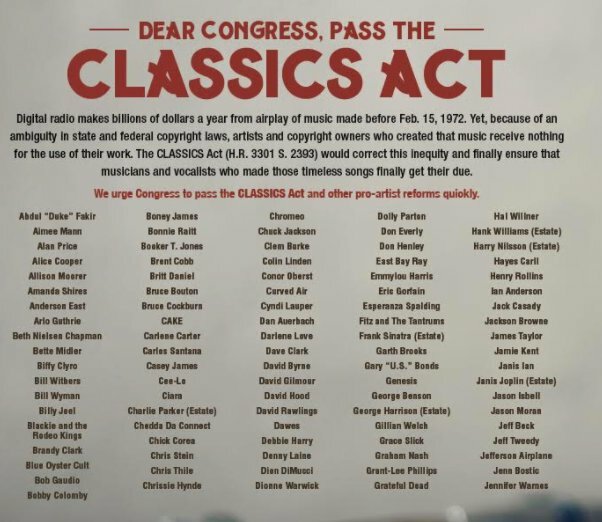 We urge Congress to pass the CLASSICS Act and other pro-artist reforms quickly." Also on the record supporting the act are The Recording Academy, A2IM, The American Federation of Musicians, RIAA, SAG-AFTRA, Content Creators Coalition, Music First, and SoundExchange.